Arlo is a multinational brand which has carved its name for producing high-quality wireless security cameras. With its unique features and ultimate performance, they have won millions of heart worldwide. Further, it has made very easy for users to operate their cameras. With the help of Arlo Netgear app, users can easily setup, manage and watch live feeds recorded by their cameras. Arlo app is dedicated to keep you connected with the place you love and be there when you can’t. It is easily available on all major platforms including Google play store, IOS platform. Sadly, window users have to download special software to run it on their PC. Here, we have gathered all the related information that will help you to install Arlo app for PC. Just follow this guide and know how you can operate your Arlo cameras from your personal desktop. What are the features of Arlo camera? Arlo app lets you remotely control your camera and avail its benefits. Be it configuration, camera mode, live videos, you can access everything with single tap of your finger only. Know what fruitful features you can utilize after performing Arlo app download procedure. Person detection:- Your camera alerts you by sending an instant notification when it detects any person. Live feeds:- With this feature a user can keep a track of live activities taking place near Arlo camera. Motion detection:- Motion detection feature makes it easy for you to access live footages instantly when your camera identifies any suspicious activities. E911:– En11 features let you make an emergency call and connect it to the nearby dispatcher. Rich notifications:- When you download it on your device, it sends you an instant notification, depending on the settings you have enabled. 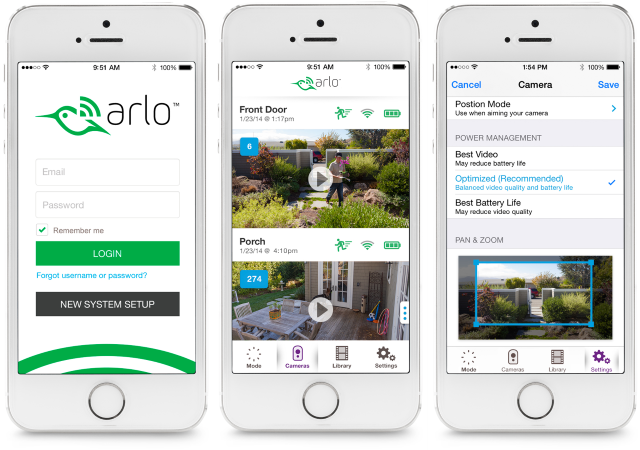 These are the smart features you can access when you install Arlo pro app. Now, find how you can download Arlo app in your PC. Before you do anything, make sure you have a working computer with an active internet connection in it. Follow further steps and download the application on your computer. Open a web browser and enter https://www.bluestacks.com/ in the address bar. Homepage of Bluestacks will open. Click Download Bluestack button and let the file download on your system. Once it gets downloaded, open it and follow appeared instructions to install it. Once you install it, you should see its icon on the desktop. Open it and enter required details such as email address, country name, language, etc and click on Continue. A search icon on Bluestacks will appear. Type Arlo in it and install the genuine Arlo app on it. Once you install it, your Arlo app will be ready to serve you. Given steps can be applied for any Windows and Mac version. To know more about it, you can connect with experts team which is 24/7 available to help you. They can give you proper assistance and help you with the right directions to follow.